The features of Microsoft Outlook makes it the ideal email for business enterprises, organizations, and establishments. However, transacting business and sharing business documents through Outlook comes with some major drawbacks, and one of the most painful is that files and data sent through Outlook can easily be corrupted or lost. Therefore, the need for Outlook email recovery tool in the hand of every business establishment, organizations, individuals, and enterprises can’t be overemphasized. Are you going through the harsh experience of not knowing what to do when your Outlook emails, notes, attachments, contacts, calendar entries, tasks, and other items get deleted, corrupt or missing? 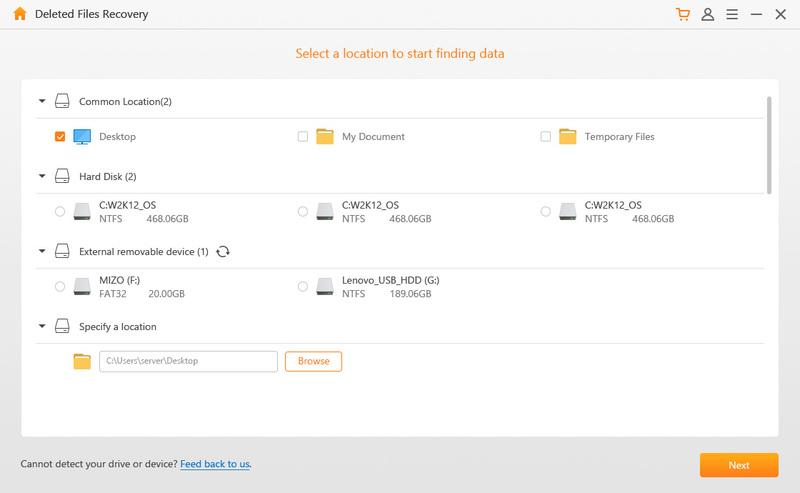 Just let AnyRecover worry about retrieving all your lost files in mere minutes. Yes, AnyRecover can retrieve emails lost in your personal database that were missing due to deletion, damage or virus attack. AnyRecover is a free Windows Outlook email recovery tool that was designed by iMyFone Software Company to provide for the needs of business executives and individual in need of an email recovery tool. Therefore, if you need a handy tool that can assist you in recovering all your lost, corrupt and deleted outlook emails, then use a tool that can allow you to recover over 1000+ sorts of files like emails, photos, video and so on. Provide intact recovery for all email items, including email, attachments, contact, calendar, appointment and more. Instantly recover any emails which has been lost, corrupted or damaged. Offer email recovery from Microsoft Outlook, Outlook Express, Mac Mail, etc. Promise 98% success rate to recover from any storage media, like PC, external hard drive, USB flash drive, MP3/MP4 player, digital camera, etc. 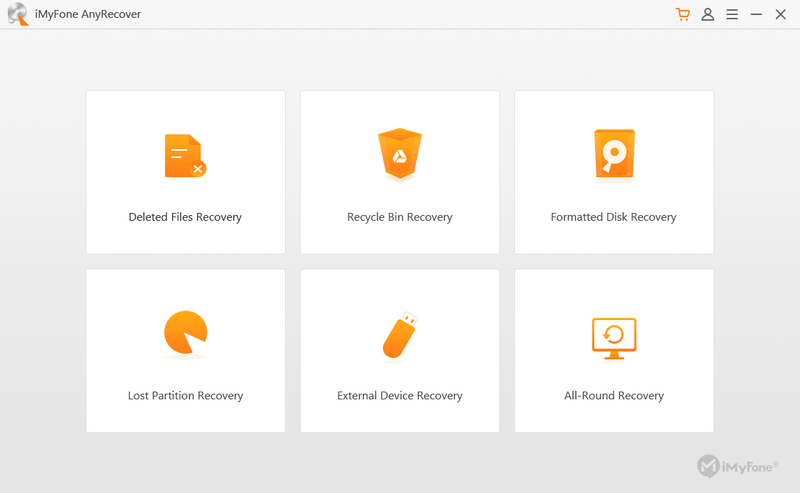 Data recovery has never been so easy with this self-service recovery tool. Recoverit was designed by Wondershare Software Company as an email recovery tool for recovering lost and damaged emails and email components for major email services like Microsoft Outlook. This Outlook email recovery tool is available to everyone who wants to recover lost, corrupt, deleted, or missing email and email attachments, but it comes with a huge price. Allows you to save recovered emails in EML, MSG, RTF, HTML, and PDF formats. Repair corrupt Outlook email files that were created in any version of MS Office. If you want to recover corrupt Microsoft Outlook storage files such as emails, Recovery Toolbox for Outlook can help you restore or retrieve such files. Therefore, if you have a damaged PST or OST file from Microsoft Outlook, just employ Recovery Toolbox for Outlook to get the thing going. However, this software can only recover lost or deleted Outlook emails in ANSI format. Retrieve online and offline Outlook data files in ANSI format. Repair password protected and encrypted Outlook email files. Different recovery tools have different using steps. Because of its easy-to-use features, here we take example of AnyRecover to show you how to instantly recover deleted Outlook emails. Step 1. Download and install AnyRecover on your computer, launch the program and choose a recovery mode based on your data loss scenario. Step 2. Select the location and file type; in this case, you will select “Others” and initiate the scanning process by clicking the “Scan” tab. Step 3. Preview the scanned files to see if the specific email file you want to recover is listed. Step 4. Click the “Recover” tab to start retrieving your Outlook email files. 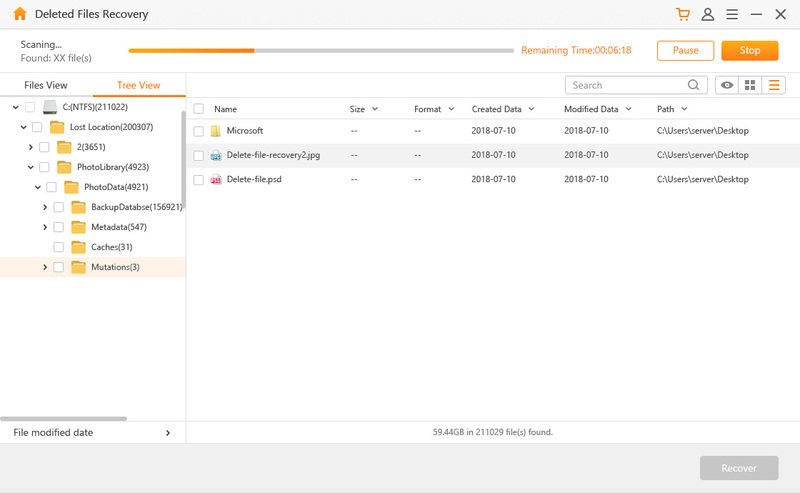 AnyRecover is an encompassing solution for email recovery. 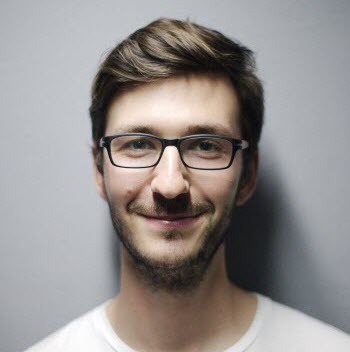 With it, you can recover emails that were deleted accidentally from mail trash, and export them to an uncorrupt database or folder. 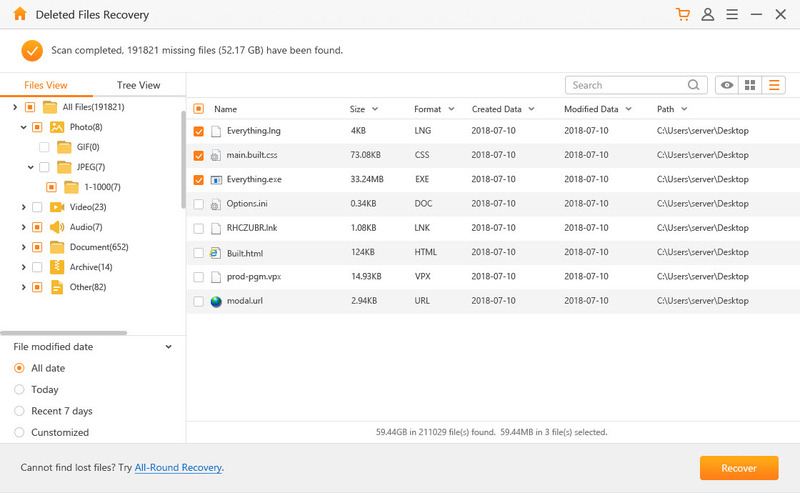 So, get AnyRecover now to get your deleted files and folders back.